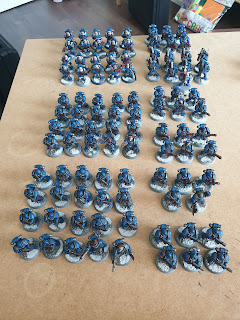 No full pictures of the army as it was basically just undercoated Leadbelcher.... not even washed with Nuln oil. This list was thrown together based off of the models I actually had assembled and available. 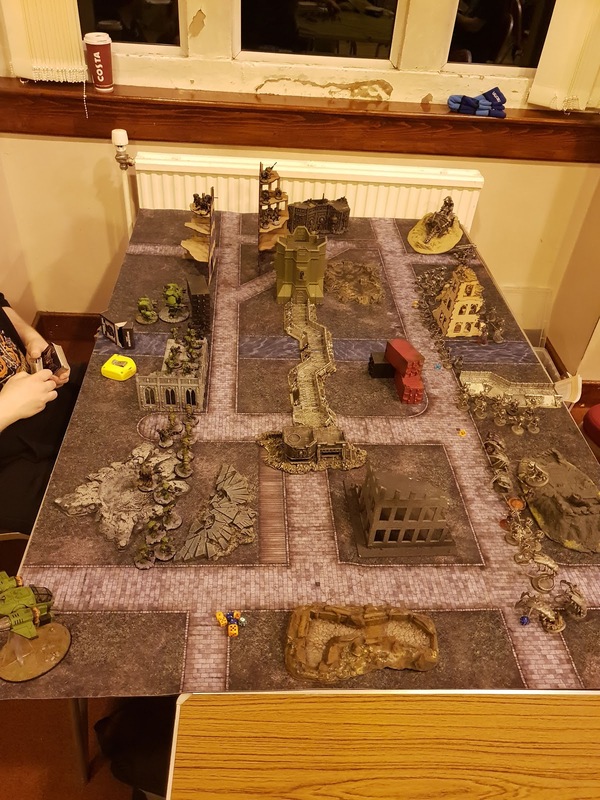 It fits nicely into a Battalion and starts me off at 8 command points. 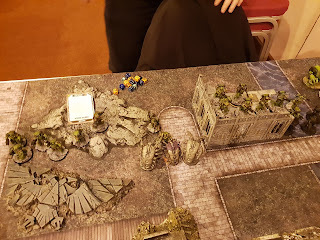 The aim is that the Destroyer Lord, Triarch Praetorians, Wraiths & Cryptek with Canoptek Cloak race forward to threaten the enemys lines and get into early combat and lock them down. The Rest of the army throws out a shed load of shooting to deal with any other threats. I purposely didnt pick an Overlord, because while his +1 to hit, charge & advance would be fantastic for what i have planned, the idea is that the Destroyer Lord is my Warlord. 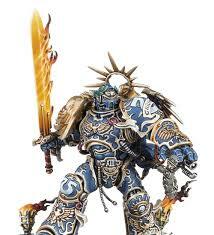 The rest of the tomb world has not fully awakened yet, and this Destroyer Lord has united them under him, until the tomb world awakens the Overlords. 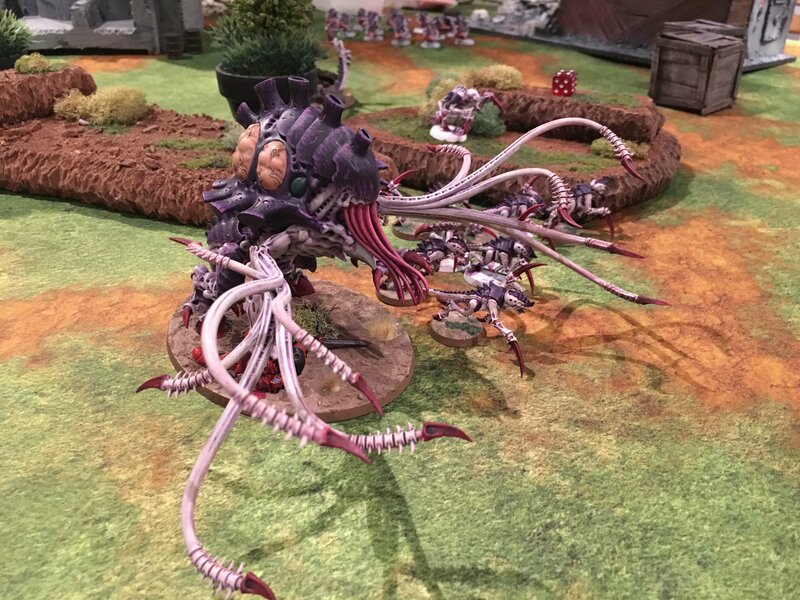 They have also had a visit for Illumenor Szeras, who in exchange for live specimens and resources 'improved' some of the Necrons, specifically Destroyers, some Crpyteks & Flayed ones. This list has had a hard fought game against the Salamanders on Vigilus nicking a narrow and tense draw. Some stand out units in the army were the Doomsday Ark & Tesla Immortals throwing out a lot of firepower, while the Wraiths look to look my opponent down in combat.